A radically more effective, online platform to support family caregivers and subsequently improve senior care. CareConscious provides the only online, evidence-based system for family caregiving. Through its 8 Principles Program, caregivers are professionally assessed and receive customized plans and resources that save time, reduce stress, and improve care for loved ones. The economic benefits of licensing and distributing the program create a quantifiable ROI for the government, employers, and health care, insurance, legal and financial companies. 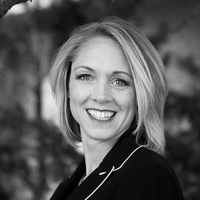 Cara Mae Melton served as COO and VP of Business Development for LawInfo.com for 8½ years where she ran a core management team that led the company to unprecedented revenue and profitability. Melton managed cradle to grave planning, development, deployment and evaluation of web-based products built to suit for Pre-Paid Legal, Lincoln Financial, ABC (Disney), NBC, Gannett, Univision, Knight Ridder Media, etc. Melton is also a US Navy veteran. A trial lawyer for fifteen years, Gold was the founding partner of Gold, Khourey, and Turak. Gold went on to cofound Raleigh Group International, a software company that was eventually sold to BMC. He is the founder and principal of several other businesses in North Carolina, including Strategic800 and SmartLegalMarketing.com. Alex Danilowicz served as Senior Inside Sales Representative for an emerging software company, closing enterprise level deals with Fortune 500 companies. Danilowicz went on to found Strategic800.com with CareConscious president Dave Gold. At Strategic800.com, which is still in operation, he was responsible for all business development and company operations.